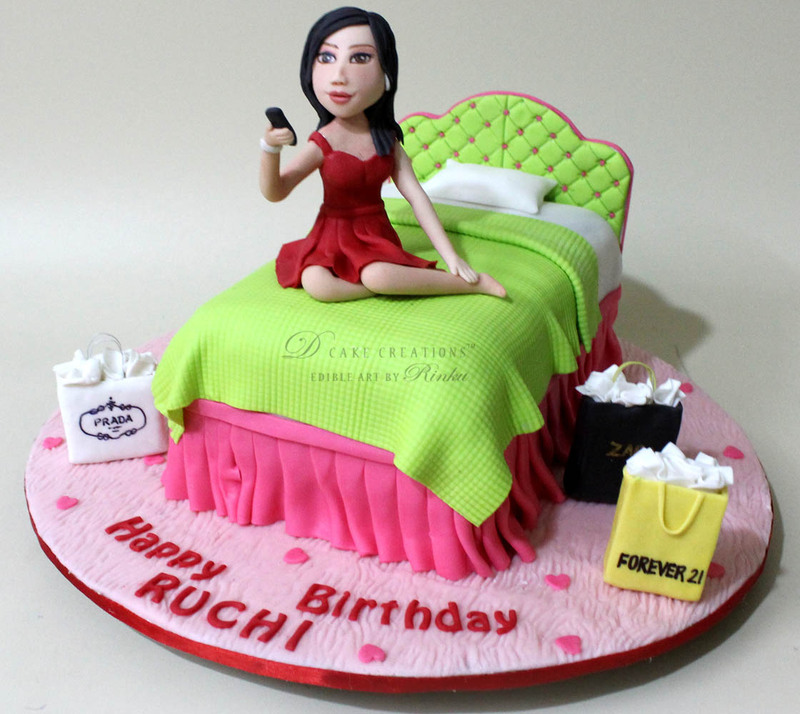 A Bed Cake for Ruchi’s birthday clicking her selfie. We had recently designed a Selfie Cake and Siddharth who ordered this cake had liked that design and wanted the same for Ruchi. He also mentioned PRADA, Forever 21 and Zara being the birthday girls favorite brands. So we added to the cake edible version of the shopping bags!